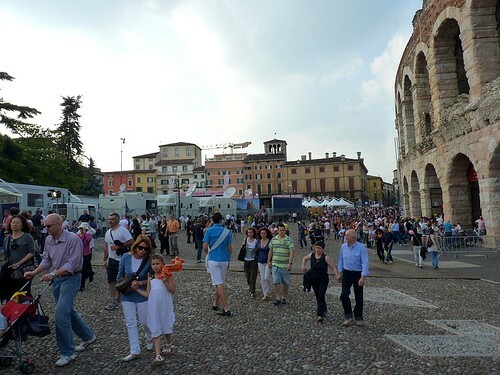 From Milan, we hurried to Verona about 2 1/2 hours away. We arrived in the middle of a bike race and had to leave the bus at the fringe of the city and walk. Since we had less than 2 hours in Verona, the guide took us to the city center and Juliet's balcony only. I managed to grab a gelati and almost lost the tour group. 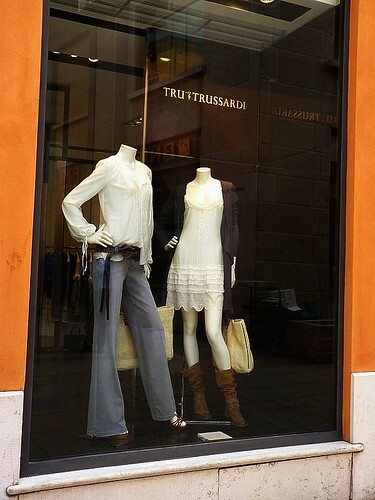 We didn't have time to go anywhere else which was a real bummer because there were plenty of nice shops that I could blow all my savings on. But to Hub's relief all the shops were closed because it was a Sunday. Even if it wasn't a Sunday, we never got to shop because we always arrived in a new city past 5 pm. Must be a deliberate plot between the tour company and the husbands on the tour. The ancient amphitheatre is still used for concerts and other events, just like the one in Arles, France. 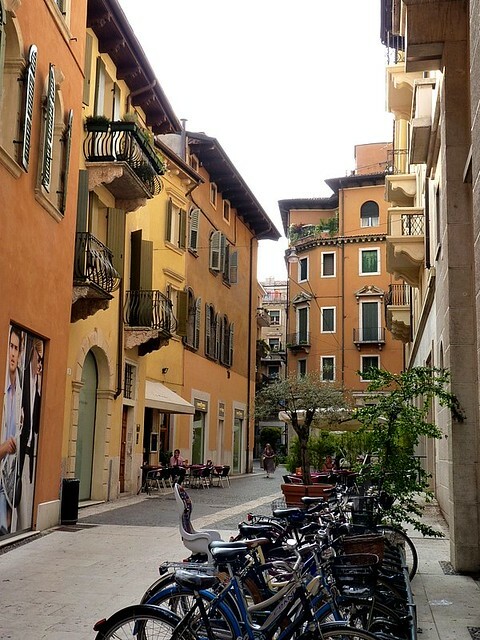 Very nice streets with modern, classy shops in old buildings, the way I like it. 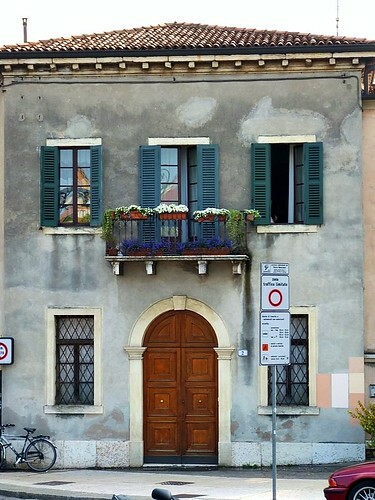 The balcony of Juliet's house. Fictitious balcony and fictitious house, but the tourists either didn't know or didn't care. You can stand on the balcony for a couple of euros. 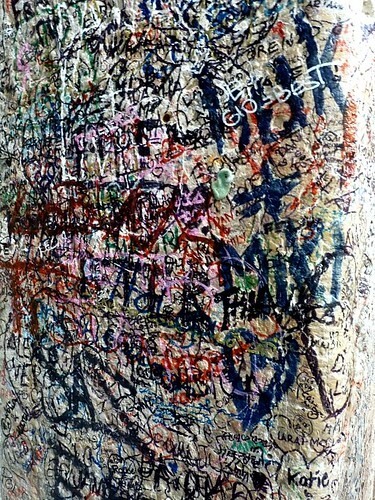 Our guide told us that rubbing Juliet's right breast would bring luck but nobody fell for it. All the ladies though rushed to have their photos taken with Juliet's statue. 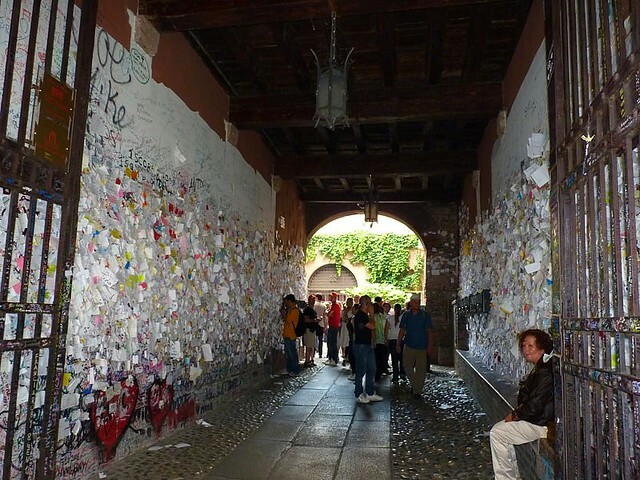 Passage leading to Juliet's balcony is plastered with notes of love. I found the Romeo & Juliet balcony a big tourist trap. 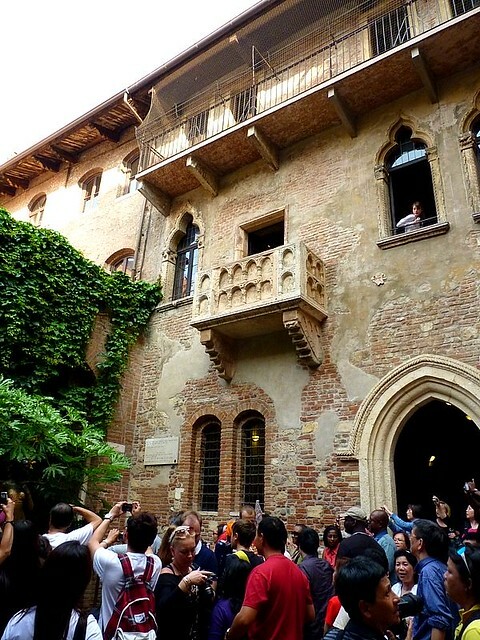 Just because Shakespeare set the story in Verona, a balcony in one of the buildings is turned into a mega tourist attraction even though the story is fictitious and never happened. 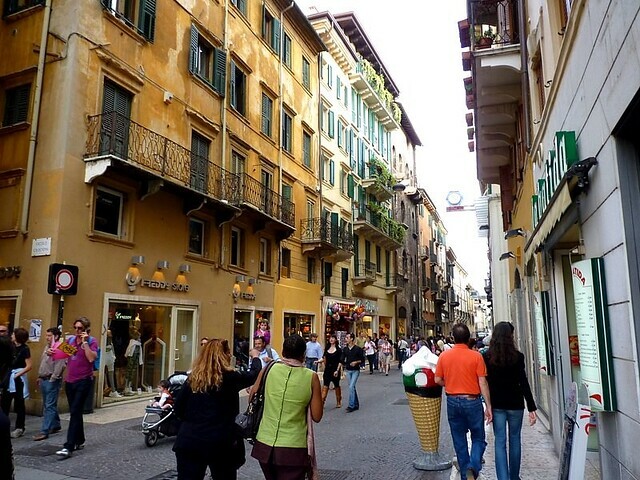 Verona is a charming little city that has a relaxing atmosphere and a good number of trendy shops to stop it from being too bucolic. 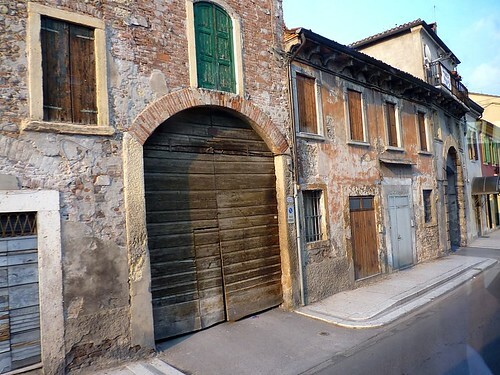 Now that Brangelina have bought a US$30 million mansion on the hills of Verona, the city'll only get more popular. I wonder if a city famous for a tragic love story augurs well for them. I love the first photo. It looks like a postcard. Enjoying all your travel tales, keep on writing! 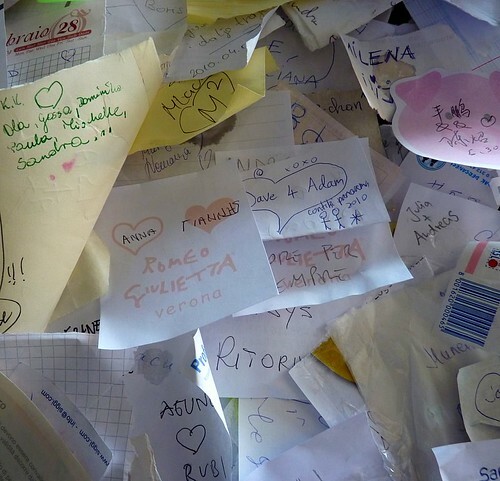 ah ha, someone has already posted the comment about the 1st photo being like a postcard! So true and very pretty! Can you recommend me some trusted pressure cooker that i can get from kk ah? denise: i use buffalo's pressure cooker. within a year i had to change the rubber rim. otherwise it's ok. aren't they all the same?